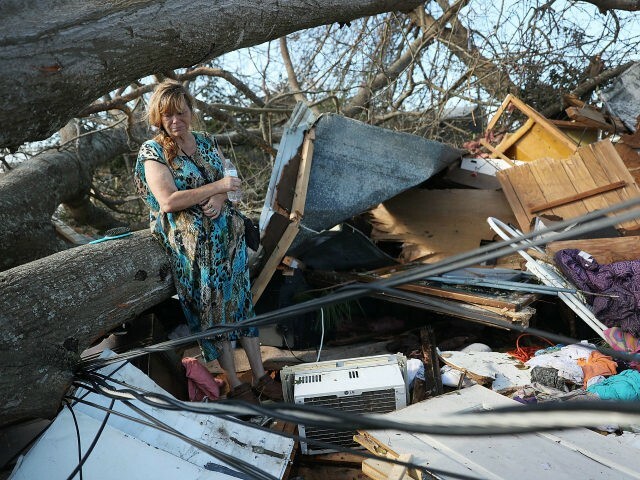 President Donald Trump commented on Hurricane Michael’s aftermath on Thursday, noting the alarming level of destruction. Damage reports showed areas in the Florida Panhandle, such as Mexico Beach and Panama City, nearly completely wiped out by the powerful winds and flooding. Trump noted that some of the winds were more than 200 mph. He confirmed that he spoke with Gov. Rick Scott on Thursday morning and said that the early reports of the storm response were good. “FEMA has gotten rave reviews. First responders, law enforcement, everybody has gotten rave reviews,” Trump said. Trump acknowledged that he had a very busy day at the White House but said he could properly handle the hurricane response. The president traveled to a campaign rally in Pennsylvania on Wednesday night and is hosting three different bill signing ceremonies as well as meeting hip-hop superstar Kanye West for lunch. Trump commented on the storm during a signing ceremony for the Save Our Seas Act.